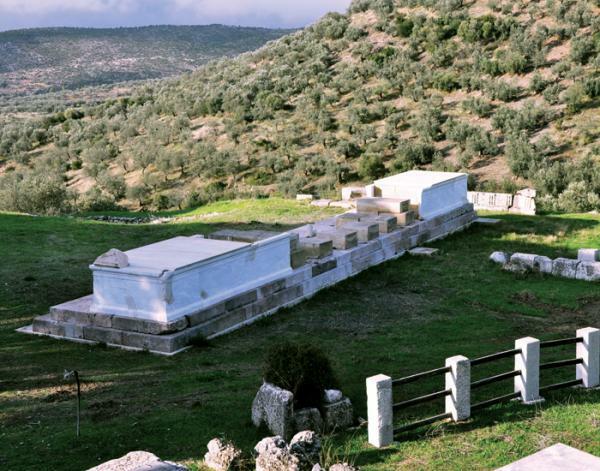 On the Kynortio term, east of Asklepios at Epidaurus famous revealed the sanctuary of Apollo Male. The Temple of Apollo is mentioned by Pausanias ... "... the mountains Estin NOT SHARE grove TE Titthion and other named Kynortion, maleate But Apollo sacred in aftῷ.touto MEN OF ANCIENT Public: The other items whatsoever about the sacred of maleate and envelope fountain , s The Water collects the sfisi of God, Antoninus and Epidafriois epoiisen these things "(II, 27, 7), ... then the description of Asklepios at Epidaurus, and important information is drawn from an inscription that saves poem Isyllou the which is a hymn to Apollo and dated to the 3rd century BC. 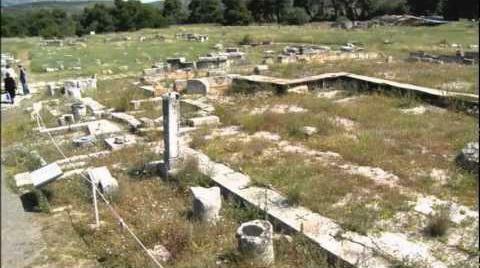 The first excavations at the sanctuary took P.Kavvadias 1896, which, however, were reserved for further investigation after the completion of the excavations in the sanctuary of Asclepius (Kavadias 1900, 178). After several years Papadimitriou continued the excavation and published their results in the Proceedings of the Archaeological Society of the years 1948 - 1951 and in the Bulletin de Correspondance Hellénique 1949. 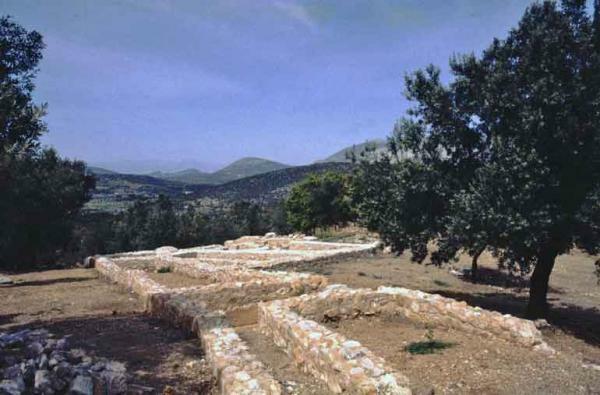 The integration of archaeological research in the sanctuary was made by Lambrinoudakis from 1974 to 1996, who took the final publication (Research in the temple was completed in 1978). The temple was discovered in divathmidoti sill mounted and preserved at the level of efthyntirias.O mainstay is 13.785 m long and 7.65 m width. Located on the east - west axis with the entrance on the east, which is highlighted by the presence of a ramp. It is a six-column prostyle temple with four columns in antis (discovered the foundation of two medium interior columns) on the east wall of the nave, without a wing. It consists of a nave and sanctuary, which is 2.50 m long and 6.30 m wide. Among the four pillars of the east wall of the nave were railings which barred the entrance, creating the impression of a shallow pronaos. The church continued research in depth, so revealed the presence of an older church, which had the same plan. Beneath the foundation of the transverse wall that separates the sanctuary from the nave found senior transverse wall, apparently separated the sanctuary from the nave of the previous church.